The Rodriguez-Nanney Law Firm, of Annapolis, MD, provides clients with competent and affordable legal advice throughout the state of Maryland in the areas of family and domestic law with our primary areas of focus on issues related to divorce, custody, visitation, child support, and adoptions. These family law issues are highly emotional, and our attorneys can help you navigate the laws in order to resolve them in the most efficient manner without unnecessary hassle or confusion. We take pride in offering our clients the highest level of service in all matters, including domestic ones. — Representation for those who are seeking a quick resolution for their divorce. Under Maryland law, we can often finalize your divorce in as little as 30 days if it is uncontested! — Representation for those who are seeking a separation or settlement agreement. Our attorneys have the knowledge and experience to obtain fair and equitable settlements. — Representation for those whose spouse might reside outside of Maryland, the United States or whose current whereabouts are unknown as long as the client is a Maryland resident. — Evening appointments for those with busy schedules. We work with our clients to meet their needs, no matter how unique they may be. Rodriguez-Nanney, P.A. is located in the heart of Annapolis, home to the United States Naval Academy, and as a result, our attorneys know that service members and non-military spouses pursuing a divorce face a unique set of challenges. Divorce can be a difficult process, and it is especially complicated when one or both of the spouses are service members. Our attorneys are experienced in representing both service members and non-military spouses and can help you navigate through the division of property, where to file for divorce, military retirement and disability pay, child custody, and child support. If you and your spouse are considering separation or if you have already separated, our attorneys can assist you with drafting an agreement between you and your spouse to delineate the terms of your separation. We will explain your rights, review your options and work with you to draft an agreement best fitted for you and your spouse during this transition period. In Maryland, the established standard for determining custody in Maryland is what is in “the best interest of the child.” Our attorneys are familiar with all of the factors that Maryland courts consider to determine the best interest of the child. Whether your matter involves establishment of a custody order, modification of prior court orders, or contempt, the attorneys at Rodriguez-Nanney, PA are experienced in assisting their clients achieve their goals for the best interests of their children. Child support is determined by a mathematical calculation set forth by the Maryland legislature. Courts apply these Maryland Child Support Guidelines and our attorneys are familiar with all of the factors that are used in that calculation. Whether your matter involves establishment of paternity, establishment of a child support order, modification of a prior child support order, or contempt for failure to pay child support, our attorneys can help you at any stage of child support proceedings. If someone is in violation of a Court Order, you can ask the Court to impose sanctions against that party. If someone has accused you of violating a Court Order, it is important to have an attorney advise you of your rights. Our attorneys are experienced in drafting agreements between parties in contemplation of marriage. Whether this is your first, second or even third marriage, it is important to know your rights. Another area of practice within our firm is adoption law, as our legal team has handled a large number of adoptions both within and outside of the United States. 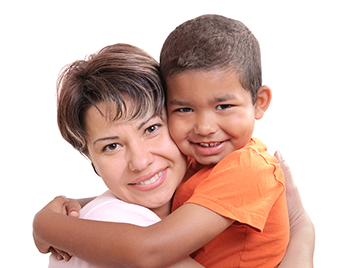 This allows us to offer services to those who want to adopt children locally as well as from foreign countries. We have attorneys who are fluent in Spanish and English. Often, clients who do not speak English as their first language may feel overwhelmed or confused by the legal system. Our attorneys will make sure that you understand the law in your own language, ensuring that you are aware of your rights and options as you make these important decisions. Anne Arundel County, Fort Meade, Kent Island, Annapolis, Bowie, GlenBurnie, Arnold, Crownsville, Davidsonville, Crofton, Gambrills, Odenton, Pasadena, Severna Park, Edgewater. If you need assistance in the area of domestic or family law in Maryland, contact the Rodriguez-Nanney Law Firm in Annapolis. Our clients appreciate our level of experience and personal understanding during this challenging time of your life.